Nancy K. Schlossberg is an expert in the areas of adult transitions, retirement, career development, adults as learners, and intergenerational relationships. Past President of the National Career Development Association, Co-President of a consulting group TransitionWorks, she is a Professor Emerita, Department of Counseling and Personnel Services, College of Education at the University of Maryland. She previously served on the faculties of Wayne State University, Howard University, and Pratt Institute. She was the first woman executive at the American Council of Education (ACE) where she established the Office of Women in Higher Education (1973). She later served as a Senior Fellow at ACE’s Center on Adult Learning. Her books include Revitalizing Retirement: Reshaping Your Identity, Relationships, and Purpose (American Psychological Association,2009); Overwhelmed:Coping with Life’s Ups and Downs, second edition (M.Evans, November,2007); Retire Smart:Retire Happy: Finding Your True Path (American Psychological Association, 2004); Getting the Most Out of College (Arthur Chickering, first author, Prentice Hall, 2001); Counseling Adults in Transition, 3rd Edition (with Jane Goodman and Mary L. Anderson, Springer Press, 2006); Going to Plan B: How You Can Cope, Regroup, and Start Your Life on a New Path, final nominee for Books for a Better Life (with Susan P. Robinson, Simon & Schuster, 1996).Improving Higher Education Environments for Adults (with Ann Lynch & Arthur Chickering, Jossey-Bass, 1989), Perspectives on Counseling Adults (with Lillian Troll & Zandy Leibowitz, Krieger Publishing Co., 1986 reprint). Dr. Schlossberg has delivered more than 100 keynote addresses including one at the Japan Career Development Association (650 participants, 2000); the Council of Presidents of the American Association of State Colleges and Universities 1999); the national convention of the American Counselors’ Association (65,000 members); and the Smithsonian/American Psychological Association’s series on mid-life. She has been quoted in the cover story in USA Today, the New York Times, Wall Street Journal, Sarasota Herald Tribune, Reader’s Digest, Family Circle, Better Homes and Gardens, U.S.News and World, Consumer Reports, and has appeared on PBS In the Prime, Derek McGinty’s national talk radio show, CBS This Morning, CBS evening news and is featured in a 90-minute PBS Pledge Special June, 2007, “Retire Smart, Retire Happy.”). A DVD, “Retire Smart, Retire Happy” featuring Dr. Schlossberg is available through Amazon. She has appeared on PBS’ In the Prime, Derek McGinty’s national talk radio show, CBS Evening News, CBS This Morning, the NBC Knowledge Series, and two PBS/College Board live video-conferences. 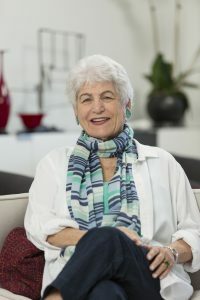 Dr. Schlossberg’s honors and awards include: 2019 Aviva Eight over 80 Honorees; 2018 American Psychological Association Presidential Citation; 2016 Teahcers College Columbia University Distinguished Alumni Award; Naming of the Nancy K. Schlossberg Library and Conference Room, University of Maryland; Inaugural lecture in recognition of innovative research and outstanding scholarship at the Distinguished Lecturer Series, Department of Counseling, College of Education, University of Maryland 2004); Honorary member, Japan Career Development Advisory Committee; Board of Management, Cosmos Club (1996-1998); University of Maryland’s Women of Distinction; first visiting endowed chair in Adult Career Development at the University of Minnesota; Walter Storey Career Development Professional Award of the American Society for Training and Development; delegate and alternate delegate to two White House Conferences on Aging; Fellow, three divisions of the American Psychological Association (APA); Fellow, Gerontological Association; APA’s G. Stanley Hall Lecturer on Adult Development; and Distinguished Scholar at the University of Maryland. She received awards from The National Career Development Association, National Association of Student Personnel Administrators, and American College Personnel Association. She has served on the following boards in Sarasota: Women’s Resource Center, The Asolo Board, The Friends of the Library Board, and currently on the board of SCOPE. 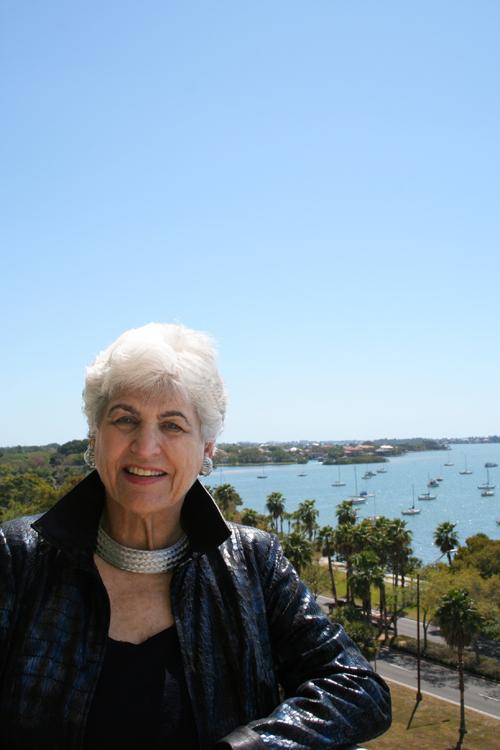 Dr. Schlossberg divides her time between Sarasota, Florida and Washington, DC.